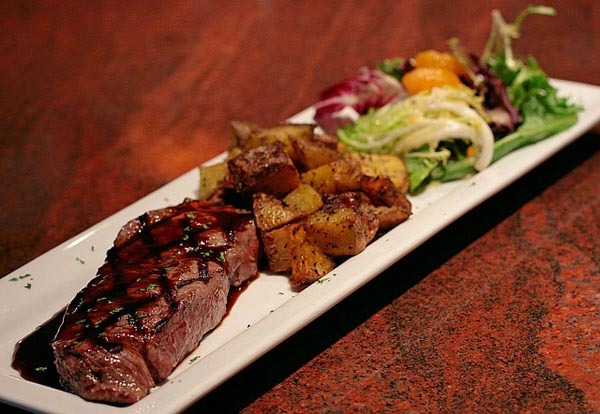 If you love seafood and steaks, Connors is the place for you. They specialize in premium aged steaks and fresh seafood. They also provide great salads, pastas and so much more. When you need a great place to go out for a celebration, a romantic date or just for a good meal, Connors Steak & Seafood is the right place. The restaurant has received many awards for the high quality menu and atmosphere. Here’s what you can expect when you dine at this restaurant. You can also add the lobster crab bisque, a salad or one of the many sides. You can even enjoy one of the many desserts, such as Cheesecake, Chocolate Mousse Cake, Bananas Foster, Strawberry Shortcake and more. The wine bar also provides plenty of great choices to pair with your meal or just during happy hour. Choose from craft cocktails, martinis, cosmos and a large list of wines. Connors Steak & Seafood actually has three locations: Fort Myers, Florida, Knoxville, Tennessee and Huntsville, Alabama. The Huntsville location is found at, 345 The Bridge Street. The Huntsville location is open from 11am to 10pm, Sunday through Thursday and from 11am to 11pm on Friday and Saturday. Happy hour happens in the lounge from 3pm to 6pm, Monday through Friday.